Apartments for rent in Poznan, it increasingly means of investment for those with cash or investing with the help of a bank loan. But while the purchase of apartments for rent in Western Europe returns after about 10 years, then in Poland on the return we have to wait 15-17 years, depending on the attractiveness of cities, in which we make a purchase. 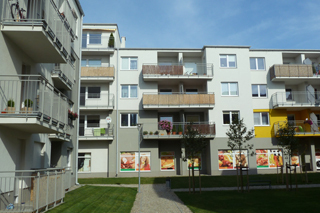 Currently, the profitability of rental housing has fallen, because due to the correction in the market prices for rozdętych after the credit boom between 2006 and 2008, more and more people rather than sell the apartment after lower-than-expected price will however rent. The increase in the number of flats for rent for this reason caused so drop the price of renting, which is beneficial for looking for apartments for rent, but not necessarily for landlords. A larger selection of homes on the market has also increased requirements. Therefore, it is more difficult to find a tenant for the apartment on the outskirts of the city and an apartment in the Center without a garage, or even a parking space in the garage. Fortunately for people investing in rental apartment in Poznan, the capital of Wielkopolska, ranks in the top five (Warsaw, Wroclaw, Krakow, Gdansk) most developed centres of higher education in Poland. At 25 universities of Poznan studies currently about 130 thousands the students, from which a good portion of the rents rooms, or often the whole House in the city. But may, however, want to buy a 1 bedroom apartment, 2-bedroom apartment instead of rent? This of course depends on the individual financial circumstances of the person concerned, which should be analysed in detail. It is also important that when considering the purchase of housing, to take into account the opportunity to sell the apartment in a closer perspective. Factor affecting demand, will undoubtedly be the proximity of the University or location, which shall ensure as far as possible, easy to move the student from the apartment to the University and back again, in order to effectively use the time to learn and not to waste time in street traffic, or too long travel bus or even a tram. A lot of people from outside knowledge, uses with the help of trusted real estate agency in Poznan, which efficiently and effectively help in searching for a suitable home for College in the capital of the Greater Poland district.